Do you know that you can dissolve Styrofoam into Acetone? Styrofoam is made of polystyrene foam and polystyrene can dissolve in acetone, and when it does, the air in the foam is released. This makes it appear like you are dissolving a massive quantity of material into a small volume of liquid. Pretty cool ! Isn’t it? Acetone, also called propane is an organic compound denoted using the formula (CH3)2CO. It is regarded as the smallest and simplest ketone and serves as one of the most important solvents for such purposes as laboratories cleaning needs. In the production of methyl methacrylate. Household uses including as an active ingredient used as a paint thinner and nail polish remover. When Acetone is released to the environment, it can cause significant risks of oxygen depletion. Styrofoam is a type of expanded polystyrene mainly produced to be used to make food containers. 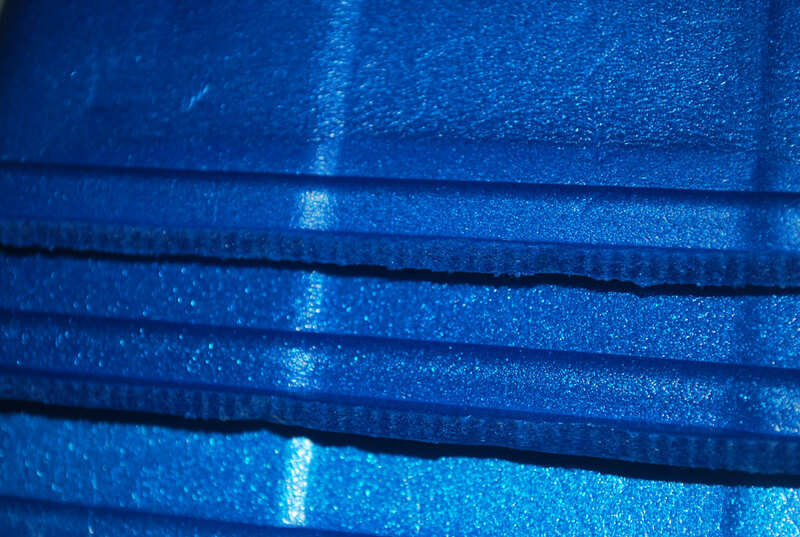 It is manufactured as foam and is mostly used as building insulation for roofs, walls, and foundations. Here, it is used as a water barrier and thermal insulator. Moderately soluble in many organic solvents, spray paint, propellants, and cyanoacrylate. Preventing soil disturbance under roads as well as other constructions when it’s freezing or thawing. Styrofoam is highly regarded as a possible human carcinogen due to its styrene quantities. Acetone is defined as an organic compound denoted with the formula (CH3)2CO. It is a colorless a flammable solvent that easily mixes with water and quickly evaporates into the air. Styrofoam, on the other hand, is a polystyrene foam, (a polymer), that is produced from long chains of molecules. For it to become lightweight, it injected with gases at the manufacturing stage and exposed to about 95 percent of air. Acetone is made up of a molecular composition denoted as (CH3)2CO while the condensed structural format is OC(CH3)2. As such, Acetone is produced by combining elements of oxygen, hydrogen, and carbon. Styrofoam, on the other hand, is produced from expanded polystyrene beads. 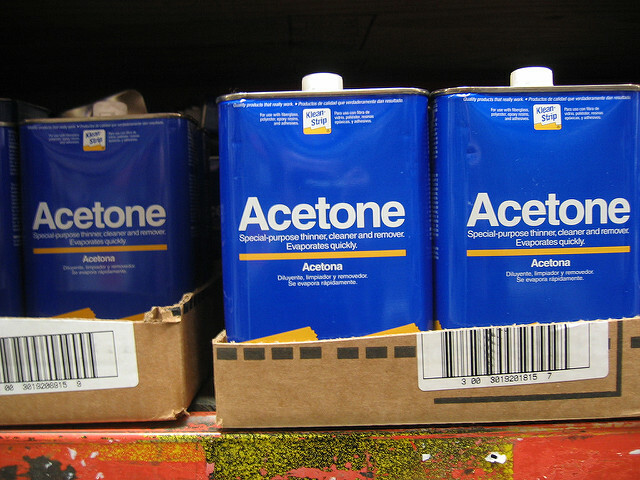 Acetone is mainly used as a solvent for fibers and plastics. It is also used for cleaning the tools used with it, thinning polyester resin, as one of the volatile components found in varnishes and paints, and for dissolving superglue and two-part epoxies. Styrofoam, on the other hand, is used in coolers, disposable cups, as well as for cushioning materials during packaging. It is also used for insulation purposes. In the field of Organic Chemistry, there can be a never-ending count of compounds. All of the compounds exist differently, and their uses differ too. Also, their chemical properties are specific to each which makes them distinct from one another. 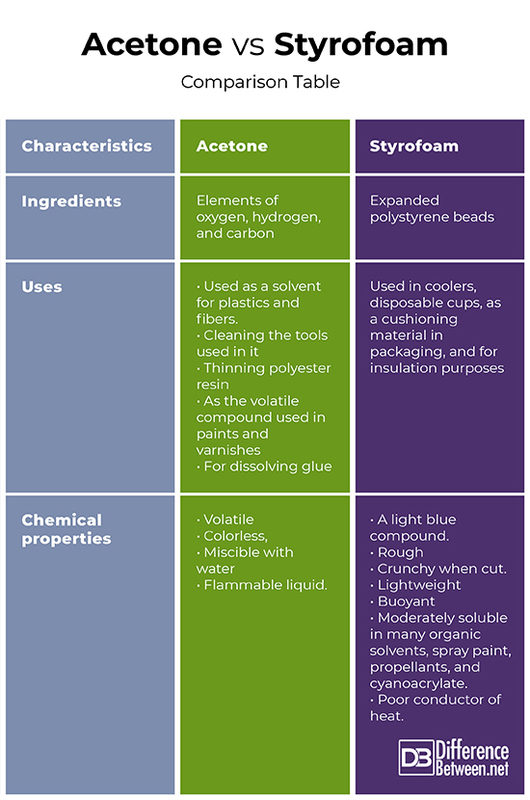 The same cases apply to both Acetone and Styrofoam with each possessing distinct chemical properties, ingredients, uses, and well as existence. Sarah Brown. "Difference Between Acetone and Styrofoam." DifferenceBetween.net. April 4, 2019 < http://www.differencebetween.net/science/difference-between-acetone-and-styrofoam/ >. Acetone is NOT also called ‘propane’, but ‘propanone’, a very significant difference to an organic chemist. Please be accurate when attempting to write about technical subjects. Ingredients In Acetone. 2019, https://www.hunker.com/12539719/ingredients-in-acetone. Accessed 1 Feb 2019. Williams, Sebastian, and Sebastian Williams. "What Do Styrofoam Cups And Construction Material Have In Common?". Polymolding LLC, 2019, http://polymoldingllc.com/what-do-styrofoam-cups-and-construction-material-have-in-common/.